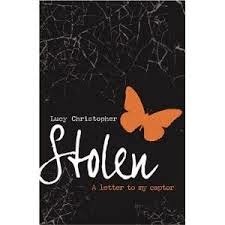 A few weeks ago, I was at the library perusing YA audio books when I came across STOLEN, the debut novel of Lucy Christopher. The premise immediately intrigued me — a 16-year-old girl is abducted from an international airport and taken to live in a wild and foreign land with her unconventional kidnapper. Yeah, I was fascinated before popping out the first disc. That, in a nutshell, is the allure of this novel. STOLEN is a difficult story but one that makes you think. 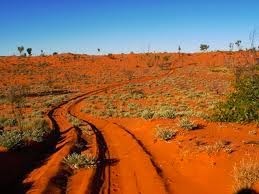 First, about the rugged and beautiful land itself, which Christopher describes with the authority of an insider. (There's even a pet camel in it!) And second, about Ty the kidnapper — a troubled and complex character. As I read, there were times when I found myself really liking him — and then I’d think: But wait — he abducted her! It was all very unsettling, which is exactly the point. Delving into the intricacies of Stockholm Syndrome, the things that connect you to home and childhood, and the power of place, STOLEN is an intriguing novel. It's one of those books that messes with your mind, that I find myself thinking about over and again — which is just the kind of story I love. If you're familiar with it, let us know your thoughts! What other books have you read where you had mixed feelings about "the bad guy"? Leave a comment on any July post for a chance to win a book from our stash! I've seen Stolen at my library a billion times and I've even checked it out a few times but somehow, I've never actually read it. I should remedy that. I think in Shadow and Bone, the Darkling is evil, but still enticing. That's the main mixed feelings towards villain that comes to mind. I've tried to read Stolen, but I can never get into it. I always feel conflicted about the villain in Evil Genius. I know Labyrinth isn't a book, but I feel conflicted about the Goblin King as well.